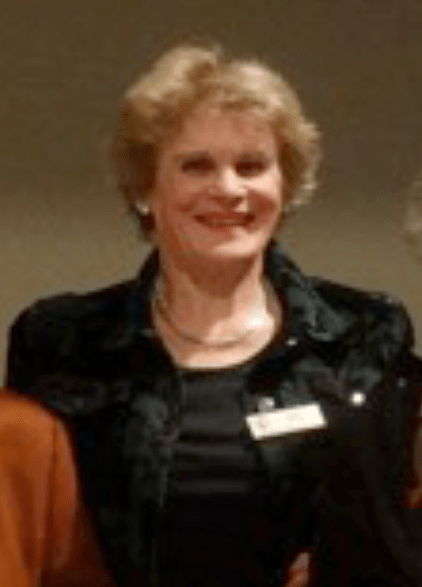 Glen joined Zonta in 1979 becoming the Foundation President of the Christchurch South West Area club, later being renamed the Zonta Club of Christchurch South. She is a true Cantabrian, born in Darfield and brought up in South Canterbury. At the time of becoming a Zontian Glen was employed as a Health Educator for the Department of Health in Christchurch. She was later contracted by the Ministry of Health, in conjunction with the National Heart Foundation of New Zealand and the Cancer Society of New Zealand, to develop a community based Smoking Cessation program that could be implemented throughout New Zealand. Following this she was employed by the National Heart Foundation of New Zealand on a national level in the area of Workplace Health. During this period Glen developed Heartbeat Challenge – a program designed for the prevention of heart disease – for use in New Zealand workplaces. Glen retired from this in 2003. Glen says that Zonta has enabled her to be involved with a group of really outstanding women over nearly 36 years. She has been closely involved with the tremendous growth of the organisation and with so much being achieved by working together towards improving the status of women worldwide. Glen has always enjoyed the fellowship and fun that has abounded along with the hard work! Shortly after the formation of Glen’s Zonta club an Annual Art Exhibition was established. This proved to be a very successful fund raising event continuing for more than ten years. Glen was very involved with this activity and after the death of Margaret Watling who had initiated the event, Neroli Kennett and she co-chaired the Art Exhibition committee. 1993 – Chairman of the Interclub SOM Committee organising the Ashburton Zonta Club 2012 – Co-chair of the Christchurch Zonta clubs implementing the planning of the District 16 Conference that was halted by the earthquake aftershocks and taken over by the combined Zonta clubs of Auckland. Glen has thoroughly enjoyed the opportunity of being involved in a wide spectrum of service, fundraising and Status of Women activities with fellow Zontians. She has made an outstanding contribution to Zonta within her own club and at district, national and international levels.